Peace of Mind for our Customers! 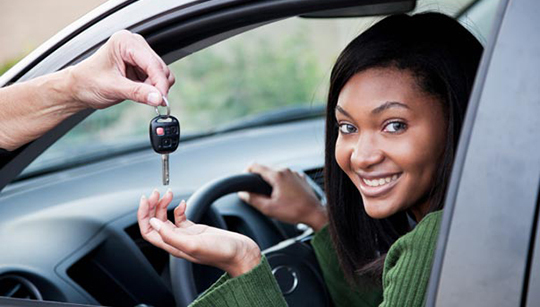 We give all our customers the Peace of mind and assurance of what kind of vehicle they are buying. PDX Autoworks has been serving Portland Oregon residents with quality used car inspections since 2011 and have grown to enjoy helping our customers purchase safe, reliable and good vehicles for their families. Coming from the used car business where everyone is out to make a dollar by cutting corners has been a wake up call for us and we’re here to inform our customers of all the tricks of the trade. We have extensive experience in inspecting vehicles that are used and can usually tell rather quickly if a car has had extensive mechanical, body or structural repairs completed to it. We treat every customer the same, and every car as well. We have pledged ourselves to providing the most unbiased, honest, clear-cut used car inspections we can provide to the best of our abilities. We understand that no used car is perfect, but many of them have been kept up-to-date with maintenance and repairs, and others have not. We want to help everyone who is buying a used car make the Right decision the first time around. There is nothing worse than finding out the used car you have just purchased is a lemon or needs extensive repairs that will cost thousands of dollars. Buying a Car is an Investment – Dont be Fooled into buying a Lemon. We believe that buying a Car, whether New or Used, is an Investment. Vehicles with good track records and good service records and maintenance records are worth investing into.We suggest that everyone take a moment to consider whether a Pre-Purchase Car inspection something that is worth purchasing to ensure you are buying a good vehicle. We believe that buying a Car, whether New or Used, is an Investment. Vehicles with good track records and good service records and maintenance records are worth investing into.We suggest that everyone take a moment to consider whether a Pre-Purchase Car inspection something that is worth purchasing to ensure you are buying a good vehicle. We have had many customers who have been saved from buying vehicles that are Sub-par and borderline junk and/or lemons. We don’t want anyone to be in that situation and strongly urge everyone to consider getting a potential vehicle that they want to buy Inspected to ensure the reliability of the sellers description and information regarding the vehicle.We are here to provide the Customer the satisfaction of Buying a Great used Car and save them from potential headaches. Call Today to Setup your Used Car Inspection before you Buy a Car.